If you see yourself living and working in Australia, we will have the vision to set you on the right pathway no matter what stage of the process you are at.  Whether your starting your journey as a visitor, studying, already employed or nearly reaching your destination we can help. No ones story is exactly the same, therefore we tailor our services to achieve your desired outcome. Our team of Migration Agents are based in Cairns QLD and service clients throughout Australia and internationally. Our mission is to use our knowledge and experience to simplify the immigration process for you, deliver the best application possible to give you the highest chance of being able to work, live and love in our beautiful country. Thank you so much for everything you have done for me! I was very satisfied with your work, you provided accurate advice and got me on the right student pathway. Now I am working full time in Australia and it is all thanks to you! When I need help for a visa again, I will come to the Immigration Gurus. The Immigration Gurus are reliable, effective and helped us to get our partner visa. They closely followed our case which made us feel they were very professional and made us feel relieved. They always updated our case situation and progress. If someone is looking for a good quality immigration consultation service, we have no doubt to recommend the Immigration Gurus to them. We are very happy that we chose them. The Immigration Gurus were fantastic in helping me obtain the right visa. The team were very organised and professional during the application process and made sure that I was given the best chance of success. Their expert advice gave me confidence from the lodgement date until my visa was granted. I would highly recommend the Immigration Gurus to anyone looking for top quality immigration advice. The Immigration Gurus made the journey to permanent residency a breeze. Because I work and live in a remote area of Australia, I haven’t had the chance to meet the Guru team in person yet. However, the support and effort they provided during my immigration application was much appreciated. I highly recommend their services. The Immigration Gurus were always kind, fast and precise in answering our questions... they helped my partner and I in obtaining a student visa. Ask for their help and you will not regret it! The Immigration Gurus made me feel comfortable asking questions and when the government changed the rules during my application, they bent over backwards to help me and my partner get our submission in. I appreciate everything the Gurus did, thanks for helping us get our de-facto partnership visa!  Thank you so much to the Immigration Guru team, you are all such genuine, professional and approachable individuals. We had a great feeling about Nat and his team and we weren't disappointed, they guided us all the way. I will definitely be recommending you to everyone! Thank you Immigration Gurus for making the whole visa process so simple. Everything was explained thoroughly, meaning all we really had to was tick the right boxes and wait for the visa to be approved! We would be happy to recommend the Gurus to anyone in the future! Big thumbs up! The Immigration Gurus are great! They helped me not only for my visa, but also for every other issues as well. Thank you for your help, I will see you for my next visa! I can't express my gratitude in words, you handled my case with great professionalism. Due to a bad turn of events my visa was cancelled and I faced loosing all that I had here in Australia, you assured me from the start and were able to turn around the decision. I am now a citizen of Australia and am working toward building my own business and starting my family. Thank you very much!